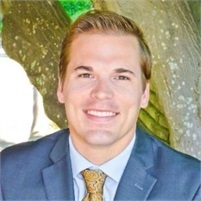 Lucus Breeden | Consolidated Planning, Inc.
After graduating from the Citadel in 2010, Luke went to work in his family’s insurance firm and became a fully licensed insurance agent in Property & Casualty and Life & Health. He and his wife, Courtney Wilkes Breeden, call Lexington home. Luke joined Consolidated Planning in March of 2014, and loves working with both individuals and business owners. "My goal is to help families and business owners protect, build, and maintain greater wealth and understanding. I help my clients to discover financial myths and identify failed strategies, financial miscalculations, and help them get organized to achieve financial balance. We focus on protection and cash flow because the key to wealth accumulation is saving and protecting your ability to earn an income. We avoid hot products and common practices employed by many of the advisor world today." Focusing on today so that clients will have better tomorrows Luke employs unique strategies tailored to each individual client without asking them to take more risk. Luke helps clients achieve financial independence through macro based strategies, straying from traditional needs based planning that can leave client guessing and reliant on market conditions. Luke is an Investment Advisor Representative and holds FINRA Series 7 and 66 securities registrations, as well as insurance licenses for Life, Health, and Long Term Care licenses.